In some ways, Odil Ahmedov lives for the Asian Cup. The Uzbekistan national team captain, after all, emerged as one of the world’s most fascinating midfield prospects following his stunning performances at the 2011 Asian Cup in Qatar. 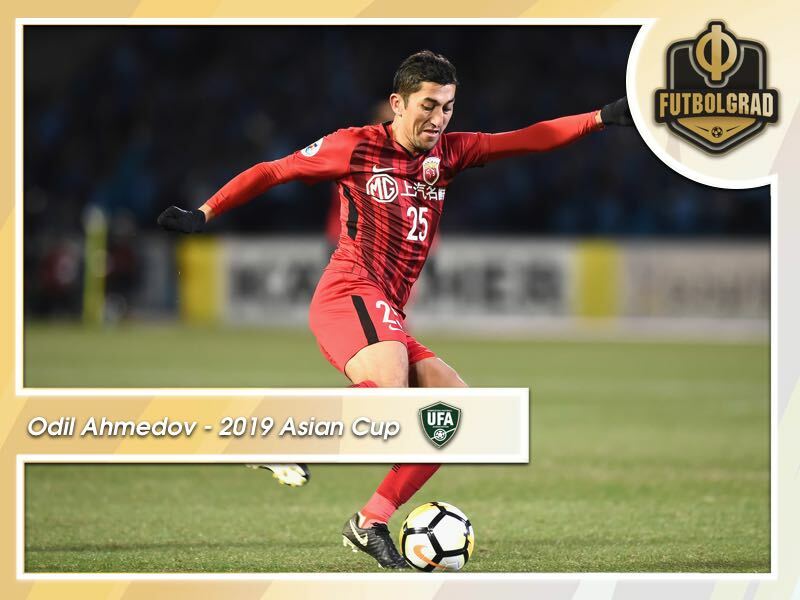 Now eight years ago the Odil Ahmedov guided his country to a fourth-place finish and was later voted into the team of the tournament despite playing most of the journey out of position as a centre-back. Ahmedov’s ability to play several positions and to guide a game from the back made him a valuable commodity. The now 31-year-old captain native of Namangan Uzbekistan made his debut for Pakhtakor Tashkent’s first team five years earlier. Playing as an 18-year-old in the Uzbek League for one of the biggest clubs located in the post-Soviet space. Pakhtakor means cotton growers and the club was often referred to as the people’s team in Uzbekistan. Travel the world and watch football. Book your custom European football travel tour by visiting Nickes! A historic side Pakhtakor was a prominent member of the Soviet Vysshaya Liga but is best known for a tragic event that took place in August 1979 when the first team was wiped out at the Dniprodzerzhynsk air disaster. It was a disaster that robbed the club of its best generation of players and is an essential mark in the history of Uzbekistan’s best-known club. Following the collapse of the Soviet Union, Pakhtakor have won 11 titles and even the brief emergence of high spending Bunyodkor did little to undermine the prominence of the club in the country. It was in that environment that Odil Ahmedov emerged to become the best player the country had seen since the collapse of the Soviet Union. For five years he played in Uzbekistan winning the league twice and the cup on three occasions. In 2007 he was also part of the Pakhtakor side that won the CIS Cup. That and his success at the 2011 Asian Cup meant that plenty of clubs were interested in signing the Uzbek midfielder. Rumours at the time linked him heavily with various English clubs, including Arsenal, which was later confirmed by Ahmedov. Stories also circulated that clubs from Qatar, after having seen him first hand at the tournament with rumours suggesting that some Qatari clubs were willing to spend €12 million on the midfielder. But instead, Odil Ahmedov chose the safe path via Russia by joining Anzhi Makhachkala – at least that is what he thought. Under the guidance of a new owner, Suleiman Kerimov, were about to embark on one of the wildest rides of post-Soviet football history. Between 2011 and 2013 Kerimov attempted to create a super club in the Russian Caucasus to sharpen his political profile. Financial scandals and lack of political advancements for Kerimov, however, meant that the project was all of a sudden ended in the summer of 2013. Players that were bought for big money were moved on quickly in an attempt to recuperate losses, and Anzhi’s transfer carousel started to quickly spin out of control. At the end of 2013/14, Anzhi Makhachkala were relegated. Relegation allowed Odil Ahmedov to leave the Anzhi rollercoaster and join Krasnodar for just €4 million in the summer of 2014. Moving 827km north, Ahmedov might as well have moved to another planet when it came to football clubs. Whereas Anzhi are a loud and shrill club fitting to the sometimes volatile environment of the Caucasus Krasnodar are an oasis of Russian football. Founded by the Russian supermarket chain owner Sergey Galitsky in 2008 FC Krasnodar are one of the best run clubs in the post-Soviet space today. Galitsky invested most of his money in infrastructure building a new stadium, world-class training facilities and a youth academy that is among the best in Russia. Furthermore, Galitsky is also a firm believer in creating a self-sustainable club. Investments in players were always geared toward finding players that eventually could be sold on with a profit. It was an environment that allowed Odil Ahmedov to succeed. Ahmedov’s true strength is his versatility as he is equally adept at playing in central defence, centre midfield, and right midfield. Ahmedov was one of the few players who survived the fire sale of Anzhi Makhachkala last summer, but was able to move clubs on a free transfer due to the relegation of the Dagestani-based club. For Krasnodar this appears to be a steal as Ahmedov now has a market value of €6 million and can be considered one of the most interesting players of the Russian Premier League, whose shooting power resulted in the Uzbek winning the goal of the tournament against Qatar at the 2011 Asian Cup. It would not be the last accolade for the Uzbek midfielder. In 2015, he was voted among the best 33 footballers in the Russian championship the FC Krasnodar Player of the Year, and he also won five Uzbekistan Player of the YEar awards between 2009 and 2016. The one thing that evaded him in Russia, however, was a national championship. In 2017 he moved on to the emerging Chinese market. 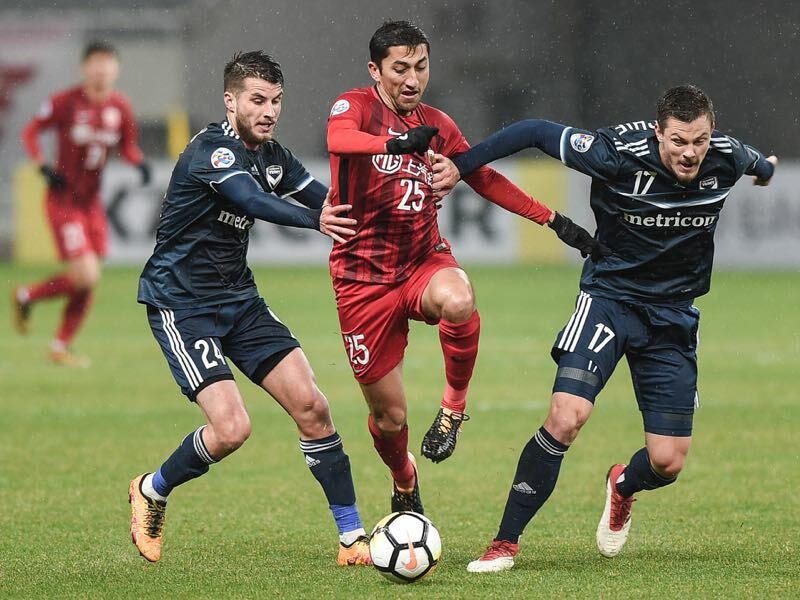 With Russia tightening up their foreign limitation rules and the Chinese Super League emerging as a financial powerhouse where Odil Ahmedov, thanks to his Uzbek citizenship, could occupy one of the Asian international spots in the squad list it was a move that benefited everyone involved. Krasnodar earned €7 million from the deal recuperating the amount of money they spent and freeing up a foreigner spot in their squad. Odil Ahmedov, in the meantime, received his big payday by joining Shanghai SIPG. Playing for the Red Eagles also opened the door towards finally winning another national championship. Owned by the Shanghai International Port Group, and coached by former 1860 Munich manager Vitor Pereira, Shanghai not only signed Odil Ahmedov from Russia but also striker Hulk from Zenit. The two were joined by Brazilians Oscar and Elkeson to form a formidable lineup. Ahmedov played in 19 games in the Chinese Super League last season. In those games, he managed to complete 67.8% of his on average total 80.39 total actions per 90 minutes – a phenomenal value for a defensive midfielder. A typical quarterback, the Uzbek national team player, managed to complete 85.6% of his on average 50.74 passes in the 2018 season – in comparison Dortmund’s new signing Axel Witsel was just slightly better in that department with 89.58% completed passes while playing fro Tianjin Quanjian in the early stages of the 2018 Chinese Super League season. Ahmedov’s pass completion rate was the best among all Shanghai SIPG players last season. Although never a player that shines with goals and assists Odil Ahmedov is crucial when it comes to constructing a play from the back and with 3.7 long balls on average has played the fourth most passes from the back on average among all SIPG players. Those statistics highlight what sort of player observers of the 2019 Asian Cup expect. Whether he will play as a deep-lying central midfielder or even as a centre back, Odil Ahmedov will be Uzbekistan’s key player.